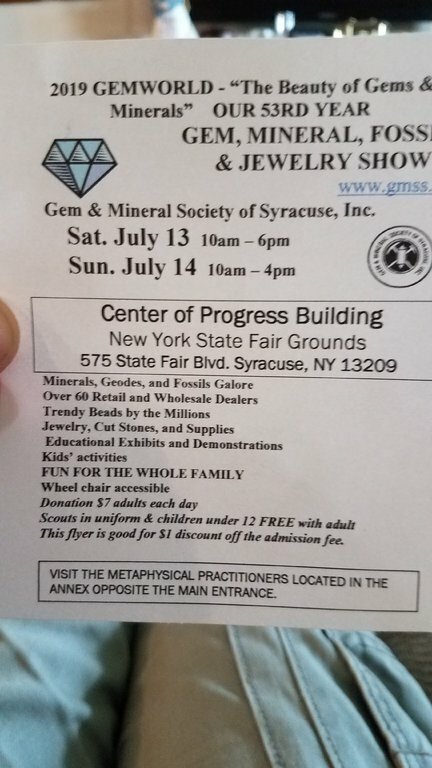 I would like to notify forum members of 2019 Gemworld which is the show put on by the Gem & Mineral Society of Syracuse. This is a Gem, mineral, fossil and jewelry show which will run Saturday July 13 from 10 am- 6pm and Sunday July 14 from 10 am- 4pm. The show will include over 60 retail and wholesale dealers, educational demonstrations and exhibits, Kis activities and much more.